Father Christmas needs a number of helpers, doesn’t he? After all, he’s hardly going to distribute all the presents all on his own, right? 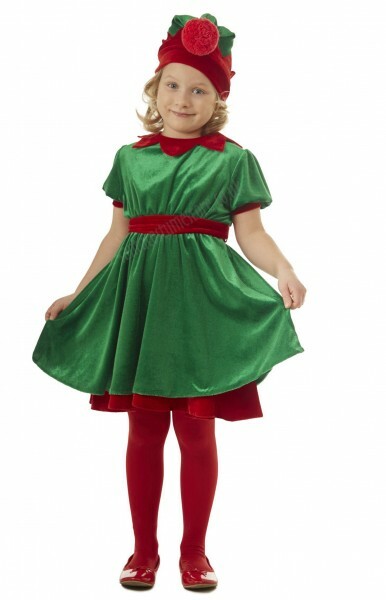 In our shop we have costumes for both big and small Santa helpers. 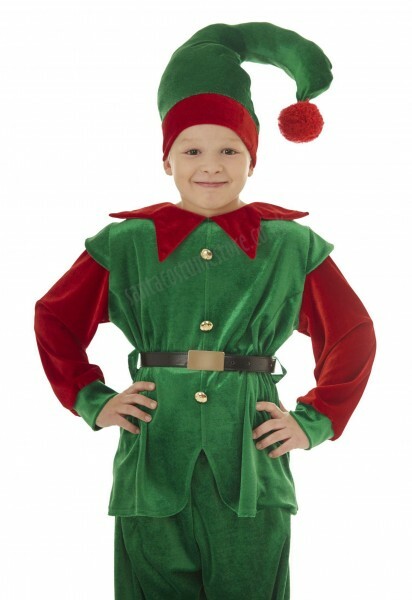 For example this unique velour Elf costume for children. Our Elf suit for boys comprises the following: a red-and-green jacket, trousers, twisted pompon-topped hat, and a leather belt. All parts suit each other nicely, and they make an original costume for using both at home or in a school show. The jacket features golden buttons and a star-shaped collar, while the hat keeps its shape thanks to soft stuffing. The black belt is made of artificial leather, and has a gold-coloured metal buckle. The entire costume is made of velour that’s nice to the touch, and it’s sufficiently loose-fitting to ensure the child’s movements are not hampered – which is particularly important in the case of an Elf costume for children. 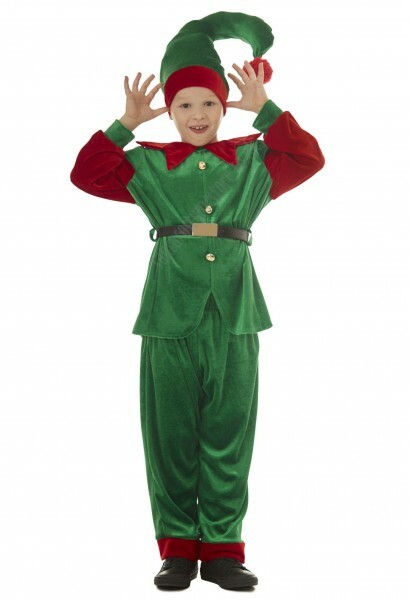 The Elf costume for boys was designed and made specially for our shop. NB – the suit does not include the shoes shown in the photos.